Whether you’re aiming to add some style or just looking for a change of scenery, decorative glass films are a simple and cost effective way to do so. Decorative glass films are very versatile; they allow total freedom in design and can be customized to fulfill any requirements. Various films can be used to create the finished products, whether it is textured, patterned or colored film. They can also be utilized to influence the transparency of the glass surface as well as its light transmittance. 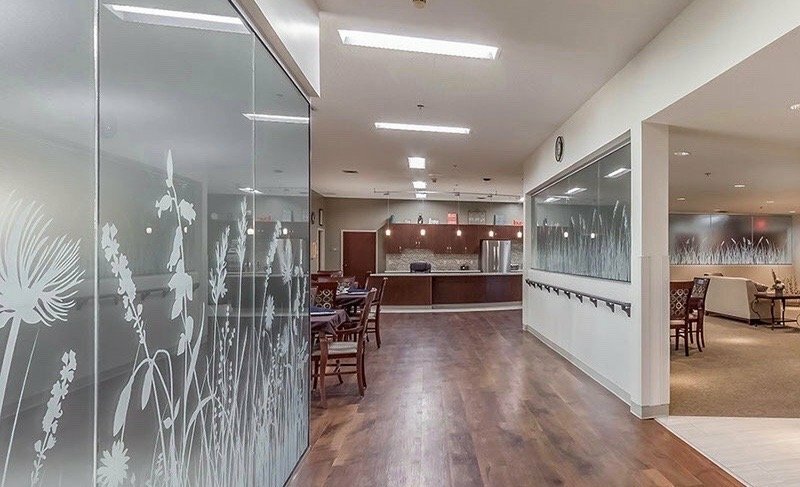 Nearly Unlimited Options – While custom glass panels can be expensive and have limitations, using stock and custom decorative films enable you to achieve a nearly unlimited number of options at a fraction of the price of custom glass. Add Privacy – Decorative glass film allows you to add privacy to any space with a window or glass partition. Improve The Appearance of Glass Panel – Decorative glass film can transform plain glass into a integrated design element in the space. Saves Money – Decorative glass film allows you to achieve the look that you want at a fraction of the cost of custom glass. It is also easily removable if you needs ever change, whereas custom glass would require the panel to be changed out again. Integrate Branding Element – Decorative glass film enable you to integrate company or product branding on windows or glass panels. Creates Visual Break in Space – Decorative glass film allows you to create a visual break on a piece of glass so that the eye registers a break in the line of sight. Ease of Maintenance – Often, the texture of custom glass makes it difficult to keep clean as oils and dirt become lodged in the textured surface. Decorative glass film can be wiped clean easily helping keep the design looking as great as it did the day it was installed. If you would like to discuss all of the terrific options available with these innovative films, click HERE and call us at either 970-690-8444 or 303-776-1109. You can also email us at ColoradoGlassTinting@gmail.com. 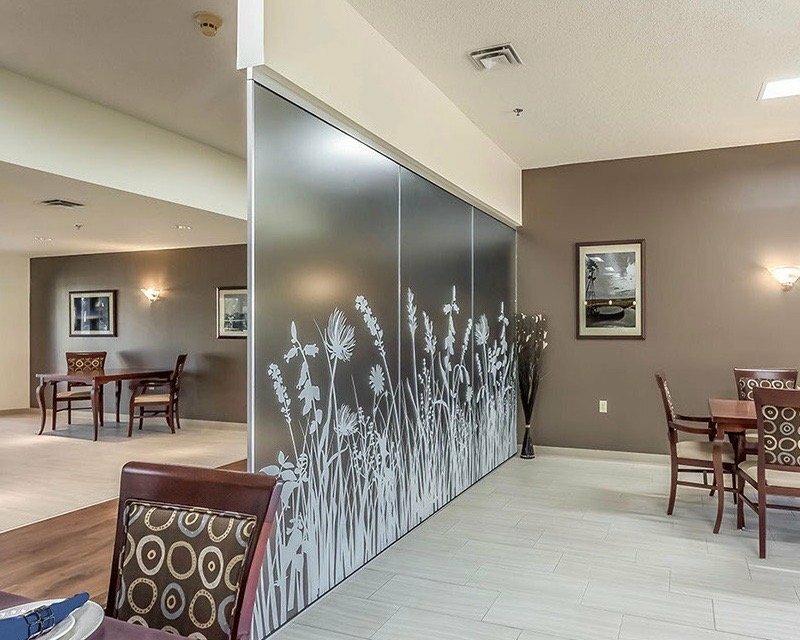 We would be happy to arrange a free, no obligation consultation and discuss implementing decorative glass films in your space. We are the #1 source for decorative glass films in Denver, Loveland, Ft. Collins & Longmont, Colorado.